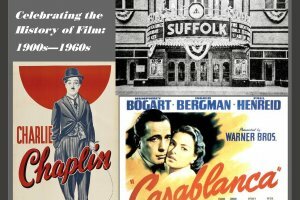 The Silver Screens of Suffolk celebrates the history of film on Long Island in the 1900s to the 1960s. The magic of cinema has captivated America for over a hundred years. Though the origins of early cinema are complex, Suffolk County, Long Island played a significant role in the early states of the silent film industry. This major exhibit illustrates those early connections as well as our county's charming local theaters, while also outlining cinema history through a showcase of movie posters, programs, heralds, and window cards from one of the most impressive private collections. From silent films to Hollywood legends, sci-fi to Disney animations, The Silver Screens of Suffolk offers a fun-filled adventure for film buffs and families!